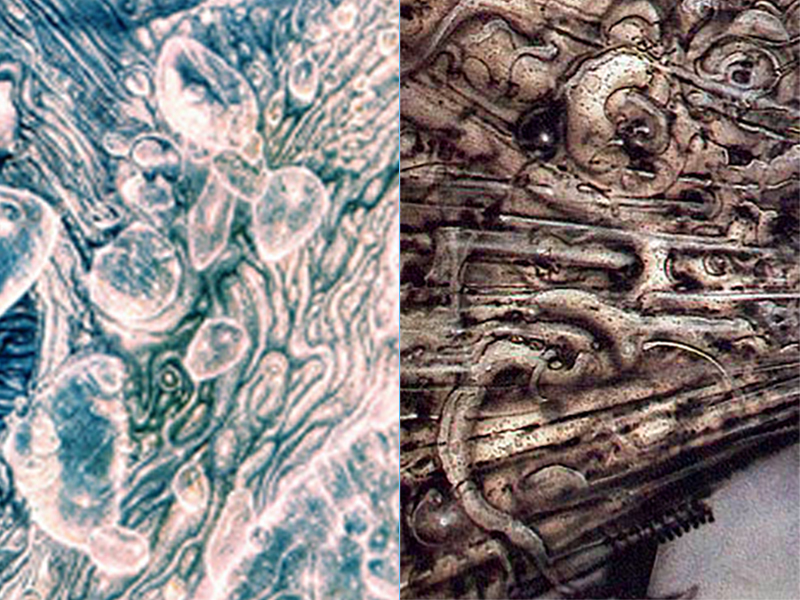 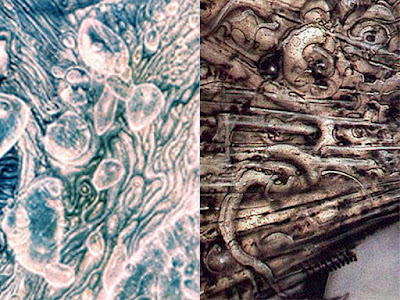 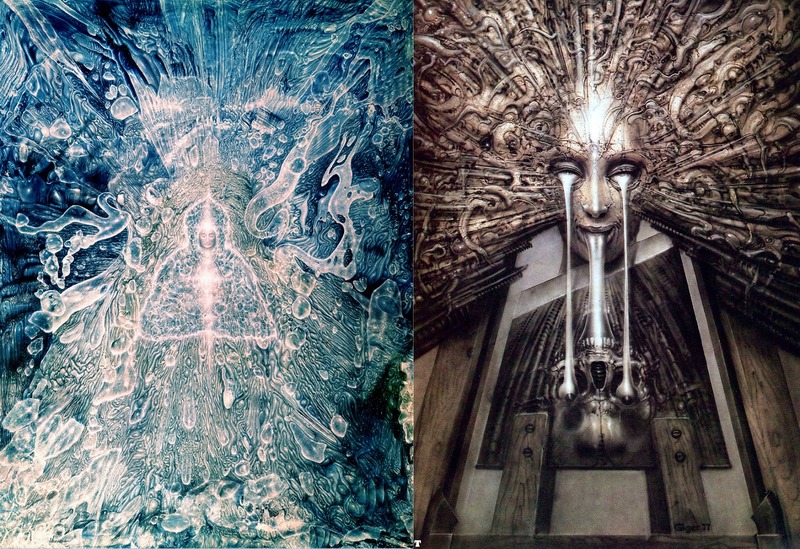 a) On April 16th 2016, a picture of Giger's Mirror Image from 1977 was posted at HR Giger Art Club on Facebook. On 19th April 2016, I thought about it further, I looked for clues in the amorphous fan of details in the picture, I noticed a suggestion of a face at the top. I started to wonder if he ought to have a robed body and various tattered edges to the amorphous flowing robe in all directions. 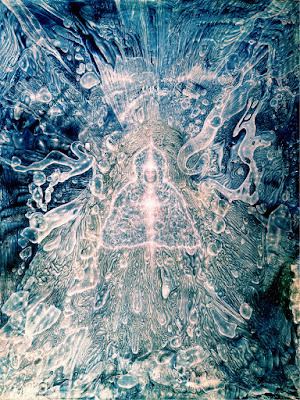 But I looked at the blobs of shapes around and wondered if it had a connection with a Robert Venosa painting since I greatly admired his work and the realised that there were some similar shapes and forms in his painting Enlightenment that so happened to be painted in 1976.
c) The two artists were friends with each other. 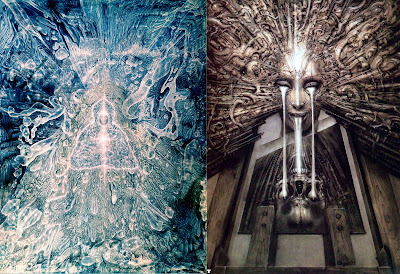 They had an idea about collaborating on paintings together but never got around to it. 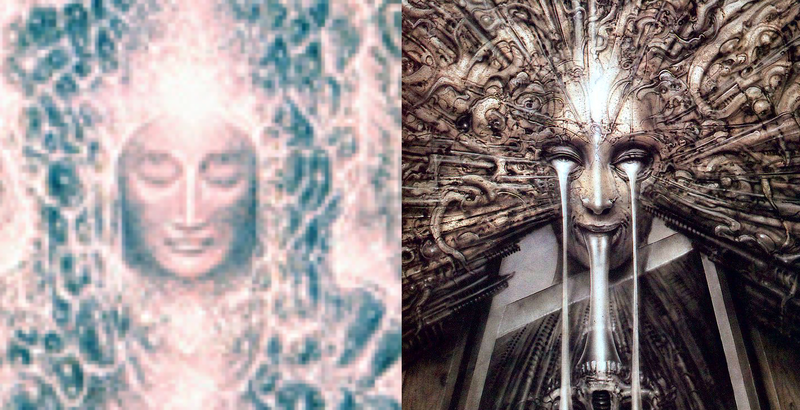 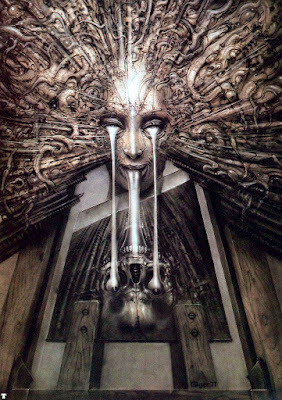 But to see that Giger had got on with it by himself integrating elements of Venosa's work into his own might give to those curious, a suggestion of where such a collaboration might have gone.